A response by Mars Fishcare to the product review of Pondcare NutriPearls (published in Practical Fishkeeping magazine, June issue). 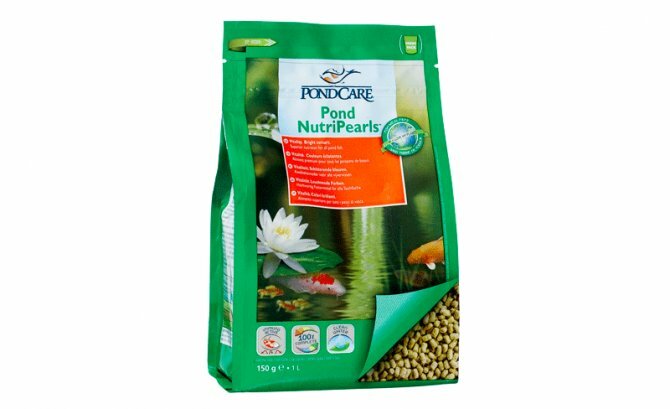 In developing NutriPearls pond foods, our key goal was to create recipes that not only deliver superior nutrition to fish but also have minimal impact on the environment in terms of raw ingredients used, production and packaging (as an example of the latter, the use of solvent-free glues and water-based inks). In our product claims, we have highlighted the use of fish hydrolysate protein in preference to the traditionally-used fish meal protein that is found in most pet fish foods. Fish hydrolysate and fish meal are classified as two different feed ingredients. The difference is in the parts of the fish that are used and their subsequent processing. Good for fish: Firstly, fish hydrolysate delivers superior nutrition when compared to conventional fish meal protein, being an efficient feeding stimulant, highly digestible and well utilised for growth. Our fish hydrolysate is derived from the soft tissues of the fish, minus the undigestible bones and scales, leaving a highly digestible and palatable product. As a result, it is lower in algae-promoting phosphorus, so benefiting the pond’s water quality. Fish hydrolysate is richer in essential fatty acids (EFAs) that fish need to construct cell membranes and certain soft tissues. Some of these EFAs, such as arachidonic acid, are required by fish to synthesise eicosanoids – hormone-like substances that are thought to play a key role in regulating the immune system. Additionally, the production of fish hydrolysate is a “cold process” where the trimmings are ground and broken down by organic acid to produce a wet ingredient – this preserves many of the important nutrients and is also energy efficient. Contrast with fish meal production that cooks and dries the fish at high temperatures and consequently is highly destructive to some of its nutritional components. Good for the Planet: Second, the fish hydrolysate protein that we use is sourced from a MSC-certified fishery*, so we know it operates in a sustainable way. In our pledge to be as environmentally-friendly as possible, we didn’t want our fish protein to come from fisheries that may be contributing to the global decline in sea fish stocks (given worrying estimates that the world’s marine fish stocks could be depleted by 2050 if the current level of fishing continues). A key problem is that most fish foods use fish meal – derived from small pelagic fish such as sardines, anchovies and mackerel – and this represents about 30% of all fish caught. On top of this, sustainable fish-meal is very limited in the world. The sustainable fishery that we use operates off the southern British coast, so we are supporting our local fishing industry as well as minimising the energy costs required to transport the catch to our in-shore processing plant. *MSC = Marine Stewardship Council. Our NutriPearls recipes include other sustainable protein sources, such as marine polychaete worms and mussels which are both cultured on UK aquaculture farms – again supporting our local industries and avoiding the need to harvest wild-caught worms and shellfish that are important foods for other marine life. The carefully selected blend of eco-friendly ingredients in NutriPearls includes natural plant-derived carotenoids (for colour and health), a mannan oligosaccharide pre-biotic (to promote good bacteria and build natural defences, thereby improving digestion) and garlic (for its appetising and immune-enhancing properties) – to name just a few. [Note: The list of ingredients can be found on a sticker on the base of the 150g bag size, but only in the first batch. In subsequent batches of the 150g bags, and in all other bag sizes, the list of ingredients is clearly readable at the top side of the packaging]. The NutriPearls recipes have been scientifically formulated at Mars Fishcare’s Waltham Aquacentre where we have over 40 years' experience in researching and manufacturing high quality foods for ornamental fish. Waltham is the world’s leading authority on pet care and pet nutrition. With such unparalleled scientific credentials, PFK readers can be assured that our fish foods deliver far more than superior nutrition – they help the fish’s immune systems to fight disease, and benefit the health of the pond. Mars Fishcare is committed to providing more sustainable solutions for all of its products. NutriPearls is “good for fish” and “good for the planet“ and is perfectly in line with our company vision.